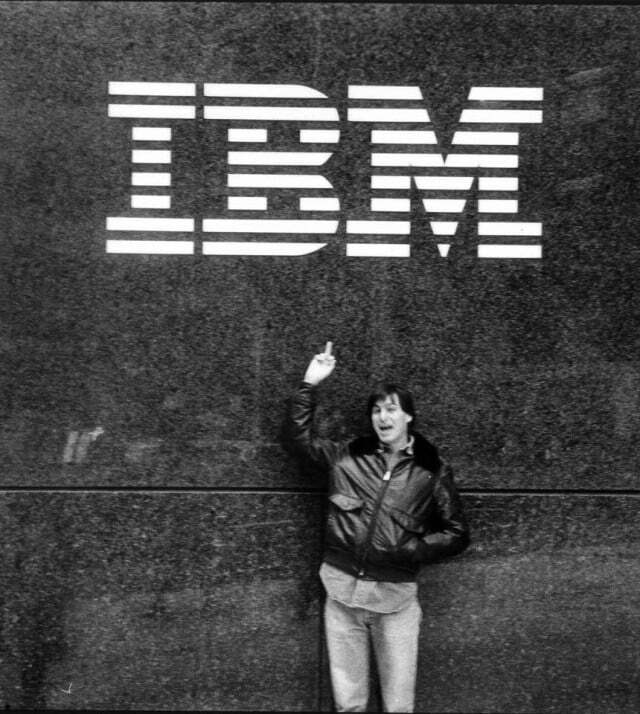 Steve Jobs wasn't at Apple in 1993, but this pic sums up Cupertino's classic attitude to IBM. Given its position as the company’s earliest arch-nemesis, Apple’s partnership with IBM was massive news when it was announced a couple of years ago. But it wasn’t the first time the two companies had agreed to help one another. On 30 June 1993, Apple and IBM shipped their first collaborative product: the catchily-named “SNA.ps 5250” emulation software package, which for the first time let Mac users run software available previously only for IBM PCs. It was the first step in allowing Macs and PCs to talk to each other in a way that didn’t trap their respective users in proprietary ecosystem hell. This IBM ad described a revolutionary concept for your average computer user back in 1993. The Apple/IBM Enterprise Networking Initiative had actually been agreed in 1991, but it took until June 1993 for their first products to ship. The emulation software wasn’t the only advantage of Apple’s deal with IBM (and third party Motorola), either. It also paved the way for Apple to switch its Mac processors to a new RISC architecture called PowerPC, developed by the three companies. PowerPC processors continued to be used by Macs until 2006, when Apple made the switch again to Intel chips. Today, of course, the idea of having to turn your Mac into an IBM emulator to run PC software is something most users will never have to think about. With Apple’s larger and larger slice of the personal computing pie, most of the big software packages are available for both Mac and PC — and getting the two systems to talk to each other and be able to exchange files is more or less taken for granted. But it wasn’t always this way — and 30 June 1993 is historic for working to tear down some of those barriers.